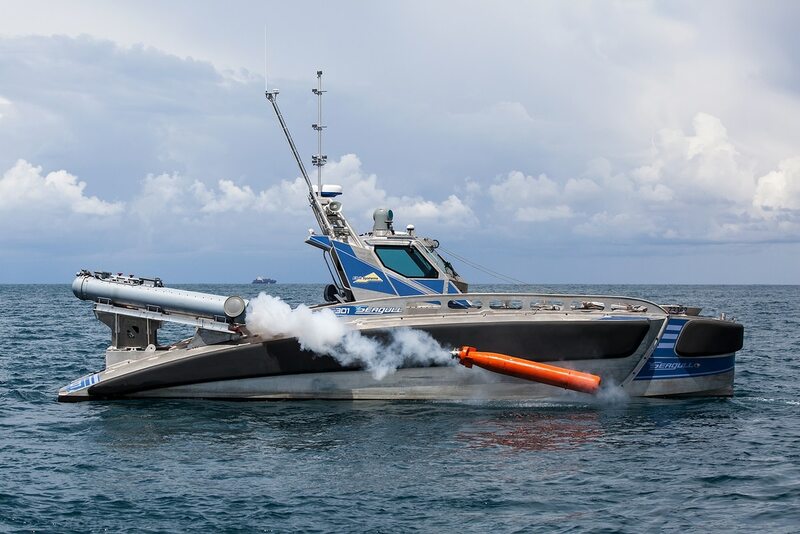 Elbit Systems' Seagull unmanned surface vessel (shown firing a missile) recently exhibited its anti-submarine detection capabilities using a dipping sonar rig and proprietary software. Elbit Systems’ Seagull unmanned surface vessel has demonstrated its anti-submarine warfare capabilities. Remotely guided by human operators through satellite communications, the Seagull sailed in the Haifa Bay, Israel, to perform the anti-submarine mission using control consoles 2,200 miles away. Operated from a mother ship or shore stations, the Seagull is a 39-foot vessel leveraging modular mission system installation that can also perform mine warfare, electronic warfare and other missions.